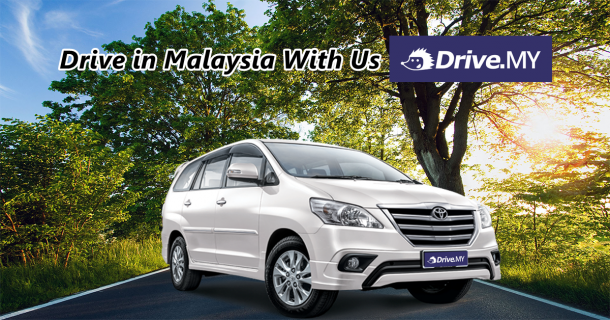 Drive.MY would like to give some useful tips on the Malaysian Car Rental and Driving Experiences to be expected. The joy of renting a car is flexibility, whereby you can go to wherever you want whenever you want. You also have space to keep your luggage or the odd souvenir instead of lugging them around. The frustrating part is finding your destination in an unfamiliar world. A detailed street map or GPS are essential if renting is on your agenda. It would be an added advantage if you have traveling company as they can help as navigators or spotters. Drive.MY will always assist if you need navigation assistance. 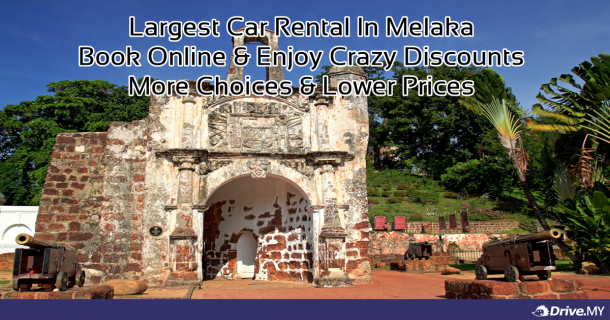 Car rental in certain places in Malaysia, like Pulau Langkawi(Duty Free status Island), is in fact the best option because it is cheap and public transportation not very good. 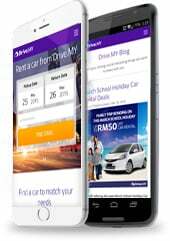 License-Legal driving age in Malaysia is 18 years old but many car rental companies require a hirer to be at least 23 years old and have held a driver’s license for at least 2 years. Some 21 years with 3 years driving experience. An international driver’s license is not required, but a valid national license is needed. Insurance & Safety – Insurance will be provided but always check what the extent of the coverage. You might want to take out your own insurance or pay the rental company extra premium for insurance excess reduction. Driver and front passenger are required to wear their seat belts at all times. If you have a mobile phone, do not use it while driving, which is against the law. To avoid theft of belongings, always park at a place which is bright and visible. 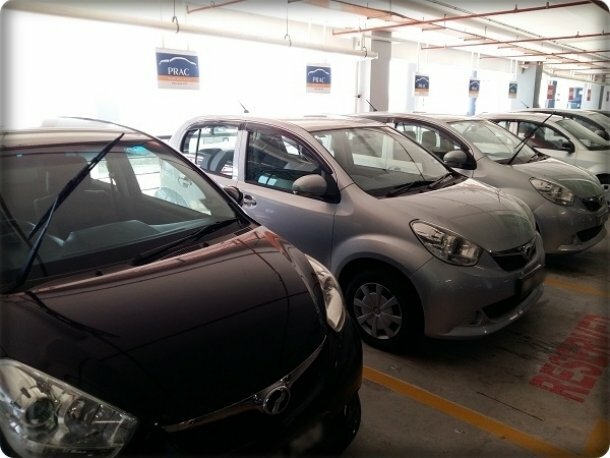 Car Rental Prices – Rates start at RM130 for a day for a Malaysian built Perodua Viva but varies accordingly, with the major car rental companies being more expensive. However major car rental companies do provide better service in terms of having more offices located throughout the country, where you can drop the car off or contact when there is a problem. 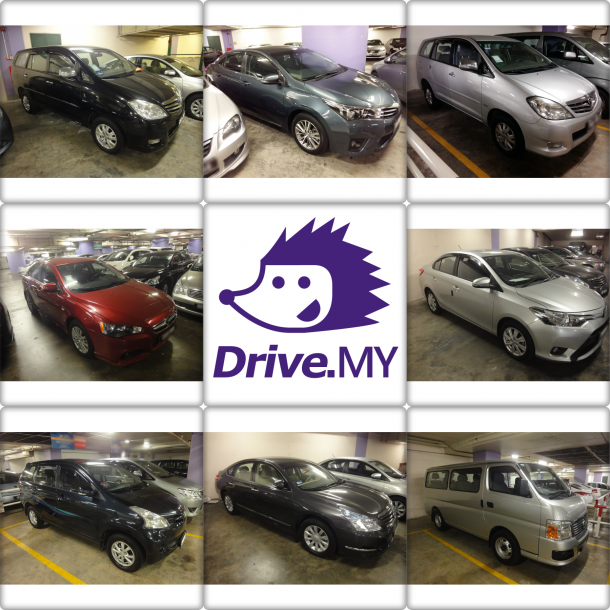 Drive.MY gathers all the best car rental deals into one portal and making it as the largest marketplace for car rental in Malaysia. The more days the car is rented, the cheaper it is charged per day. Hence we are committed to serve our customers with a worthy deal. Now, move on some of the driving experience to expect when driving in Malaysia especially on major cities. Malaysia uses the “drive on the left” system, similar to those in United Kingdom and many of its commonwealth countries. Cars stay on the left side of the road on a two way road. On a two or three lane road, the slow lane is the left lane and right lane is used for overtaking and driving at higher speeds. Driver’s steering wheel is located on the right side of the car. The roads in Malaysia are generally in good conditions and quite extensive. Highways link major cities and town roads reach out to every nook and corner. Driving in Malaysia is quite an experience altogether. Let’s say the driving experience, especially in big cities, would be similar to that of many “bad boy” reputation cities in the world. For instance, Miami USA, Naples Italy and Buenos Aires Argentina. By this we mean that you can expect some cars not stop at stop signs, red lights being beaten occasionally, speed limits being beaten routinely, cars cutting in front of you or sometimes tailgating you if you are the much slower car. After midnight, for some drivers, the law book is out of the window and red lights, especially at housing areas, pose as decorations only. All this is done with a certain degree of caution of course, although accidents are caused by such behavior. The good news is that there is hardly any blaring of the car horns as Malaysians found out that it is totally ineffective many years ago. It is a matter of adjusting for the traveler. There are also many sane, safe and law abiding drivers around. Traffic congestion is a problem in big cities, particularly Kuala Lumpur and Penang. If you get caught in a traffic situation and gets lost on the roads, be prepared to wait it out. Cars cost a zillion in Malaysia because the taxes are high, but it has never stopped the population from buying them in droves. The local car manufacturers Proton and Perodua sell the majority of the cars in Malaysia, although competitively priced foreign cars has eroded its market share in recent years. The speed limits in Malaysia are 110km/h on Motorways, 80km/h outside of built-up areas and expressways and 50km/h within towns. Petrol in Malaysia is currently undergoing a shift in the petrol policy, whereby every month the petrol price follows the average world oil price. Although engines of diesel cars have gone thorough leaps and bounds in terms of technology, diesel cars are not popular in Malaysia, and thus not common. Petrol stations are widely available and popular brands are Shell, Mobil, Esso, BP, Petronas and Petron. Petrol stations service include pumping petrol, pumping tire air, washroom and some providing a car service, a small mart, ATM withdrawal and car wash. Pumping petrol is done by you. First go to the cashier located at the station, let the person behind the cashier know which bay number your car is located at and how much you want to pump. Pay the amount and then proceed to pump your car. If you have not pumped your car yourself before, do ask help from the station attendance. If you want a full tank, do let the cashier know beforehand and proceed to pump first. When pumping stops, proceed to pay the cashier the amount due, which is listed on the pump machine. Credit cards are accepted too. Swipe the card at the pumping machine and key in the amount you wish to pump. Wait for the signal which will let you know when it is ready. When it is ready, proceed to pump. Do ask for assistance from the attendance if you need any. Open public car parks charge from RM4.00 to RM10.00 per day, which is cheap. Shopping malls charge in between RM1 to RM3 per entry outside Kuala Lumpur. Meter parking is also available on streets with maximum charge at RM5 a day. Hotel car parks are charged by the hour at RM3 and can be expensive if you do not have a function. If you do have a function, a flat rate of RM10.00 is chargeable, but must get your ticket validated for this price. A habit of Malaysians is to park wherever there is a space which is not obstructing to others and risk getting a ticket. At times they do block others due to the acute lack of parking. If you find yourself in such a situation, just sound the car horn and within a minute, the driver will come running out apologetically and move his or her car out of the way. This is due to the many cars and lack of parking space in Cities and Towns. We hope this information would have help you for a cleared picture about travelling on road in Malaysia. Do buzz us at [email protected] for more interesting information. Whether it’s the morning rush to get to work or the evening rush to leave it, we’re often so focused on the “getting there” or the “getting out” that we forget about the little things that can make our daily lives easier and our work days more productive. How you begin and end your work days is crucial to how the next day or even the rest of the week goes. It’s taken me years to develop morning and evening routines that help me get the most out of each and every day. I wasn’t always as productive as I am now. 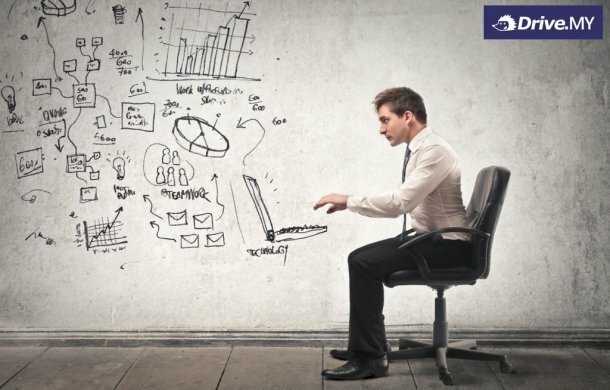 As a young entrepreneur, I thought it was about waking up earlier and working longer hours late into the evening, but as I gained more experience over time, I realized that its not just about how many hours you work in a day, it’s how much you get done and how impactful the work you do is. Now with over ten years of experience under my belt, I follow a strict morning and evening routine everyday that includes things like exercising first thing in the morning, tackling the hardest task before going into the office, and even have time to squeeze in 20 minutes of cartoons. Most days I finish more work in the morning than I do the most of the day. Julie Morgenstern, author of Never Check E-Mail in the Morning: And Other Unexpected Strategies for Making Your Work Life Work, suggests that you shouldn’t check email first thing – at home or work. Instead, try and start your day with a singular focus and a task you can cross off your checklist right away. Personally, I like to use my mornings to focus on love, inspiration and learning. Instead of diving straight into work, I find that hearing to my favourite songs shapes up my mood and motive of work day. For maximum productivity, try starting each day with a planning session. Once you arrive at work, sit at your desk and arrange your “station,” just as a chef or other artisan would. Set yourself up for success by taking a few moments to focus on the tasks you want to accomplish, rather than immediately reacting to problems or issues that others bring you. Make a list, whether it’s on your phone, on a whiteboard or on an actual piece of paper, and write down your priorities so that they can remain your top focus throughout the day. Make your big decisions at the start of the day, if you can. Use the time and the quiet to clear your head and decide how you’ll move forward with a new product idea or what you’ll do about hiring the new employee you need. Whatever large decisions are weighing on your mind, don’t let a crisis (or two or three) during the day dictate the way you make those types of decisions. Get them out of the way first thing in the morning. This is a well-known concept in the world of business made popular by Brian Tracy in his book Eat That Frog! It basically works like this: when you get to work in the morning, you should always try to attack your most important or challenging projects and tasks first. He refers to these projects as your frogs. It’s easy to keep pushing a project to the next day, or the next, or even the next simply because you never feel like you have enough time in your day to get it done. If you have a task or project like this that’s been on your to-do list for a long time, commit to finally getting it done tomorrow, and start working on it right when you get into the office. If you’ve used your morning to set your priorities and tackle big issues, there’s a good chance you’ll be running out of steam as the work day comes to a close. Use this time to respond to quick emails, file paperwork or handle the other small projects that come with running a company (or working any job, for that matter). Not only will this help you fully utilize time that might otherwise be wasted, it’ll help clear the clutter out of your mind so that the next day can be even more productive. Plan for the end of your work day and set aside the last 10 minutes to sit back and reflect on what went well in the day, what you’re still waiting for, and what needs to happen tomorrow. Knowing that you’ve prepared as well as possible for tomorrow will help you leave the day behind and put you in a good mood for the rest of the evening. While it’s great to chat with your employees and talk about the day, don’t linger, says Lynn Taylor, author of Tame Your Terrible Office Tyrant: How to Manage Childish Boss Behavior and Thrive in Your Job. “Staying around for no good reason will limit your level of energy and success when you need it tomorrow,” Taylor says. Get out and go back to your life. Leaving work at work as much as possible will help you balance your work and home lives well. So guys, are any of these activities part of your morning or afternoon work routines? If its not, it is time for you to follow all these and work productively.